DBS Bank, which is backed by Singapore's government, has been adjudged the best digital bank by business and finance magazine Euromoney for the past three years running. The $10-billion bank has more than 2,000 developers working at its Hyderabad facility, helping it bag such top accolades. 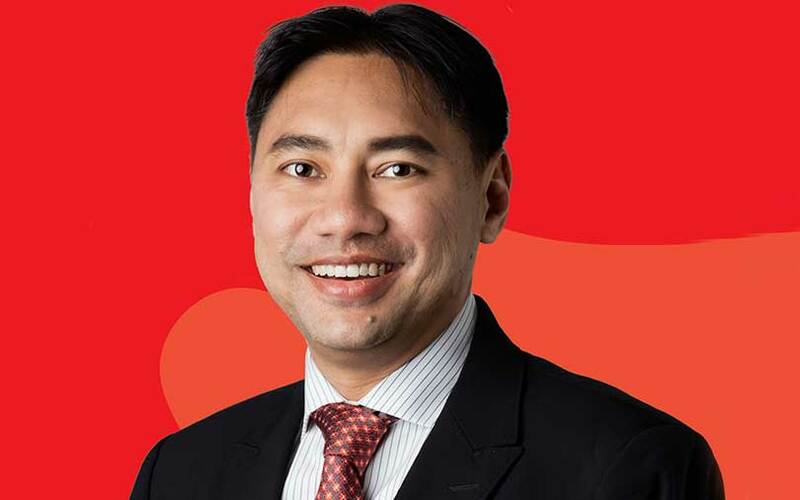 Alfian Sharifuddin, managing director, head of technology and operations for DBS Bank, India, moved to Mumbai two years ago has been with the financial institution for more than 18 years. When did DBS Bank move its operations to the cloud? Since the last few years, we have focused on modernising our operations by moving to the cloud. Like any typical bank, we had our legacy infrastructure and we shied away from the cloud for 5-6 years ago. Today, we have quite a lot of internal programmes that are specifically designed to modernise our cloud. We don’t look at other banks but at technology companies. We have hired people from firms like Google, Amazon, Apple and Netflix and we are modernising our whole infrastructure. Five years ago, our group chief information officer invested in the very best and went around the world to look at the best technologies they were using and picked up the best practices. At that time, the financial sector, in general, shunned the idea of the cloud, but we embraced the idea of private, hybrid and public cloud. Has moving to the cloud given you any returns on investment? Shifting to the cloud allowed us to launch a small data centre immediately, which was also more efficient. We migrated all the software we were using to the centre. We also stopped outsourcing our development technology and opened up our own centre in Hyderabad, where we now have 2,000 people. We hire these developers at hackathons and give job offers to the winners on the same day. In addition to that, we have also opened up our application programming interface (APIs) publically, allowing startups to integrate with our systems to come up with innovative solutions for our banking services. Has this impacted your customers in terms of making processes faster? Yes! For instance, three months ago, we launched our unsecured lending platform in India and integrated with the local ecosystem through APIs. It is a machine learning-based algorithmic lending platform that makes instant credit decisions based on a customer’s credit scores. It takes only 90 seconds to credit money to a customer’s account without any additional documentation. This is based on data we have like customer history and the maximum borrowing level we are comfortable lending. We use the platform for consumer and corporate lending for small and medium enterprises. We have seen a good pick-up and this is one of the best ways our technology platform has made processes faster. We have also made integrations to make it easy for our customers. We had set up our chatbot two years ago but it was one-dimensional. It could answer only a specific set of questions. Now, the chatbot has context and memory and can have a proper conversation. How successful has your investment in artificial intelligence-based tools been? Recently, we won the best digital bank award given by business magazine Euromoney for the third year in a row. We have realised that the cost-to-income ratio of our digital products and channels globally is far cheaper—it is 20% lower. The return on equity is also 9% higher. Digital customers, who comprise 40% of our worldwide base, generate 60% of our income and 68% of our profits. Just two years ago, they contributed to only 49% of our income. The ability to scale is far faster as the marketing and channel templates remain the same. We have a scientific way of calculating these figures and the methodology is shared with our shareholders publicly. Digital investments can show results only after a few years, so how do you calculate the returns within a given time frame? Obviously, we want the returns as soon as possible. The moment a channel is running, we start measuring every single customer who comes through it by calculating the profitability of that particular customer. Between six months to two years, we get enough revenue from that channel. You said that we are in an era where customers do not need to go to a branch for banking services. Realistically, how far away are we from realising this? I think it is already here. We have a couple of programmes to accelerate that by letting our customers do self-service from anywhere. Any interaction with Amazon, Google, Facebook or WhatsApp is through an app and not at a physical location. At the bank, we follow the same principle. In many of our markets, including India, governments have allowed institutions to do KYC online. In Singapore as well, we are looking at some biometric identification. So, when we saw the Aadhaar opportunity, we decided to move in that direction and the adoption has also been great. No longer does a bank need such a massive physical footprint to acquire customers. We can partner with the biometric authentication agencies, who will visit you at your home or office. Branch banking is a highly inefficient way and in our recent customer survey, we found that most of our customers don’t prefer visiting them too. Even now, most services that customers go to the branch for can actually be done over the phone or laptop. We need to push those services to the customers. How did India emerge as the hub for all of DBS Bank’s development activities? There is a certain amount of design and research being done in Singapore as well. We had a requirement of certain high-skill expertise. When you look at the global talent pool, only India has the scale and is sort of a complementary relationship between the two countries. We started the centre in Hyderabad some three years ago. It was a 100-member team in 2015 but was a huge success. We found that Hyderabad has a large skill base with Apple, Google, Amazon and Microsoft being present there. Several other banking companies too had set up their research centres in the city and so it was easier to identify the skill sets and talent requirements.